On Monday we shared a photo of Christina Milian wearing this Ricki Brazil Enchanted Garden floral shorts set. 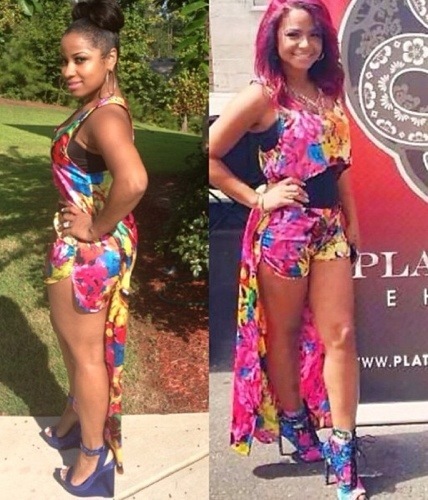 Now, we now have a photo of reality TV personality Toya Wright wearing the same outfit. The question is, who wore it better?